I talked my way into a press screening of Food, Inc. last night. Good thing. This film is the riveting documentary directed by Robert Kenner due for release soon but already generating lots of buzz, and for good reason. 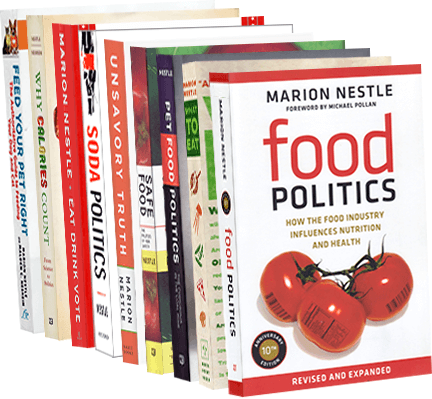 It’s a terrific introduction to the way our food system works and to the effects of this system on the health of anyone who eats as well as of farm workers, farm animals, and the planet. It stars Eric Schlosser and Michael Pollan, among others, but I was especially moved by Barbara Kowalcyk, the eloquent and forceful food safety advocate who lost a young son to E. coli O17:H7 some years ago. I can’t wait for the film to come out so everyone can see it. I will use it in classes, not least because it’s such an inspiring call to action. Here’s the trailer.